I’m not the jealous type. I really don’t need any more stuff. But sometimes when I’m doing some Ebay searches I come across something that arouses desire within my normally cool and collected breast. 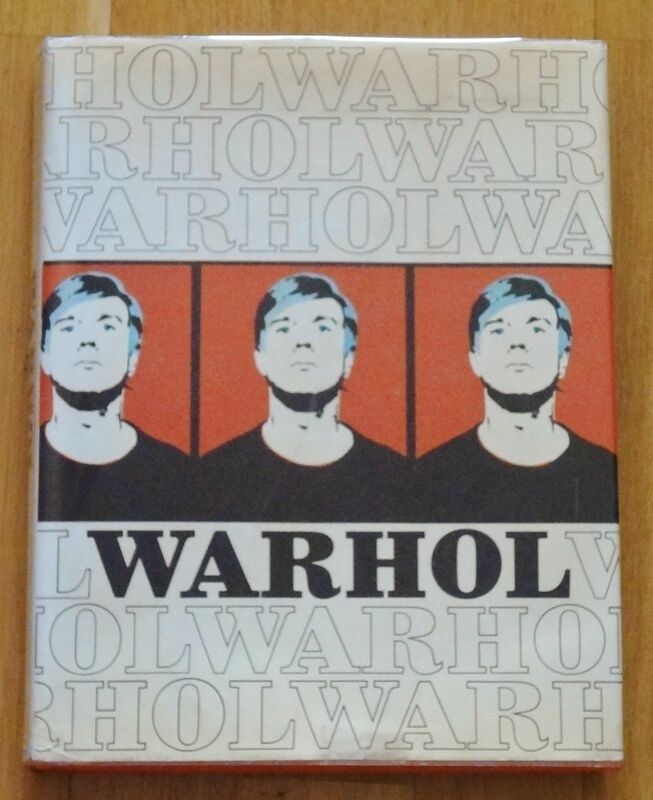 This time I was looking through some books by the art critic Rainer Crone as a friend had expressed an interest in his book of Andy Warhol’s early art, entitled “A Picture Show by the Artist – Early Works 1942-1962”. 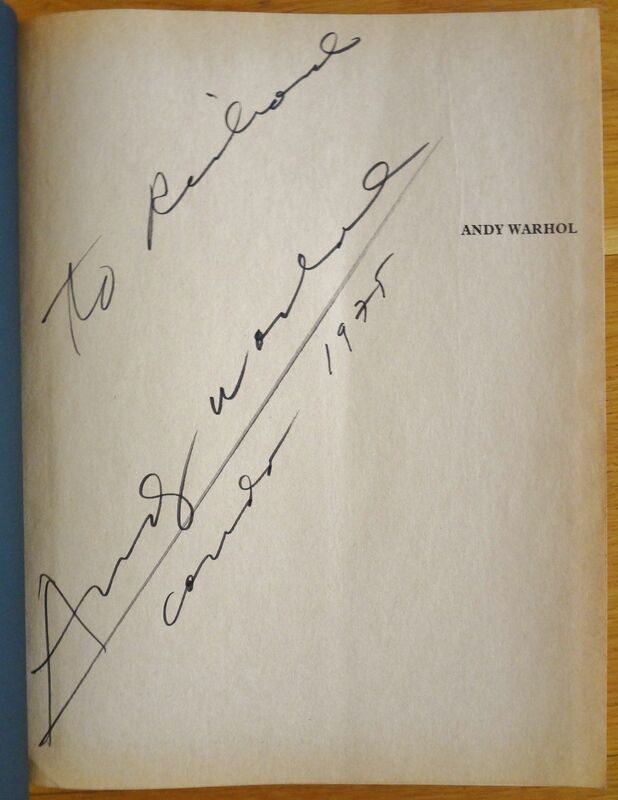 There are several copies for sale (for example http://www.ebay.com/itm/THE-EARLY-WORK-1942-1962-of-Andy-Warhol-1987-1st-1st-HCDJ-Rainer-Crone-/301174098703?pt=Antiquarian_Collectible&hash=item461f600b0f) for not too outrageous prices, but what caught my eye was a copy of Crone’s other Andy Warhol book “Andy Warhol – Catalogue Raisonné” from 1970 (http://www.ebay.com/itm/SIGNED-ANDY-WARHOL-RAINER-CRONE-CATALOGUE-RAISONNE-1970-1ST-ENGLISH-ED-/201050857021?pt=Antiquarian_Collectible&hash=item2ecf909e3d) with a price tag of $4,500. Now I’ve seen nice copies of this book go for some hundreds of dollars, and I think I bought a copy (without its dust jacket) for around $50, but I’ve never seen one at that price. So, obviously, further investigation was called for. Then I noticed the “signed” in the listing title and I wanted to see what the signature looked like – I mean there are loads of fake autographs out there. Imagine my surprise – and excitement – to see that the book was not only signed but dedicated – and to ME! Well, not actually to ME but to my namesake. “Thou shalt not covet…” says the Commandment. But, i’m sorry ti have to admit that I do. I wonder if the seller would accept an offer of $45.00?